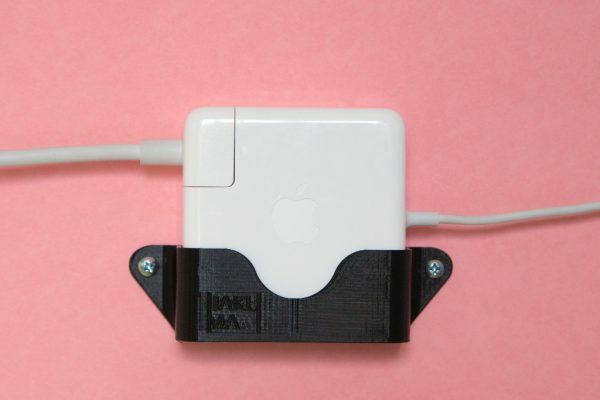 Macbook pro power supply mount #3DThursday #3DPrinting « Adafruit Industries – Makers, hackers, artists, designers and engineers! Macbook pro 15 power supply now can rest in this wall mount. If you have only one supply, you can easily pick it up and go. If it is same case like me – permanent setup – you can just give your computer rig fancy present and original Apple device wont be hurt by zipties or double sided tape. 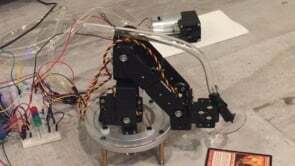 Design allows free airflow around this device.